Just the thought of having a fire in your home can be terrifying. While thinking about a fire in your home might be uncomfortable, knowing what to do both during and after a house fire is crucial to your survival as well as your ability to get back on your feet afterwards. 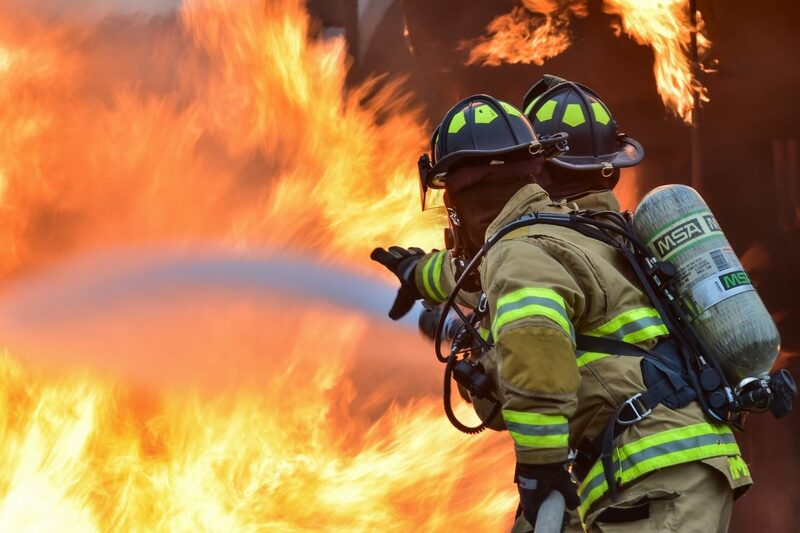 In this blog post, we’ll outline what you should do if you discover a fire in your home and give you a few tips that can keep you safe during a fire. Midwest Restoration Services is here for your fire and smoke damage restoration needs. Don’t hesitate to contact us for an estimate if your home has been damaged by a fire. The first thing you should do if you discover a fire in your home is remain calm. While it might sound difficult, doing your best to stay calm will help you to keep a level head and deal with the situation effectively. Dial 911 immediately and be sure to give the operator your complete address. Tell the operator if you live in a home with multiple floors, and be sure to tell the operator if you know of anyone that might be trapped inside the house. Immediately do a headcount so that you can be prepared to provide this information to first responders. If you have an escape plan, now is the time to use it. Let everyone in the house know that there’s a fire and that they need to get out of the house as quickly as possible. Your fire alarms should be going off, but they might not be if the fire has just recently started or if the batteries haven’t been changed recently. If you discover a fire at night, yell loudly and do your best to wake everyone in your home up. In either case, do your best to alert the people you live with as you exit the home. Make sure that you regularly test your smoke detectors. According to the United States Fire Administration, smoke detectors should be tested at least one time each month. Smoke is toxic and rises above clean air, so keep low to the ground in order to protect your lungs from the smoke. Inhaling too much smoke can cause you to become disoriented or even unconscious. If it’s possible, close any doors that you go through on your way out of the home. Closing doors on your way out of the home will help to delay the fire’s spread; this practice could save your home from a significant amount of damage. Before opening a closed door in your home, slowly touch the door and the handle to see if it’s warm. If it is, do not open the door, as a warm doorknob or door means that there is a fire on the other side of the door. You should make several exit plans to prepare for a fire in your home. Though it might be tempting, do not spent any time collecting personal possessions or items of value before leaving your home. Your possessions are replaceable, but your life is not. Moreover, spending more time in your house than necessary will make the fire department’s job more difficult when they arrive. They will start by searching for you, which takes away from their ability to put out the fire in your home. Every second counts when it comes to a fire in your home! If you find yourself trapped in your home, don’t panic. There are several steps you can take to keep yourself safe, even if you’re trapped in your home. Take a brightly colored article of clothing to wave out the window. This will let first responders know that you need help immediately. Be sure to close the window when you’re done, as the oxygen flowing through an open window will draw the fire to your location. You can also block the area underneath your door with articles of clothing or a towel to prevent the room from filling up with smoke. 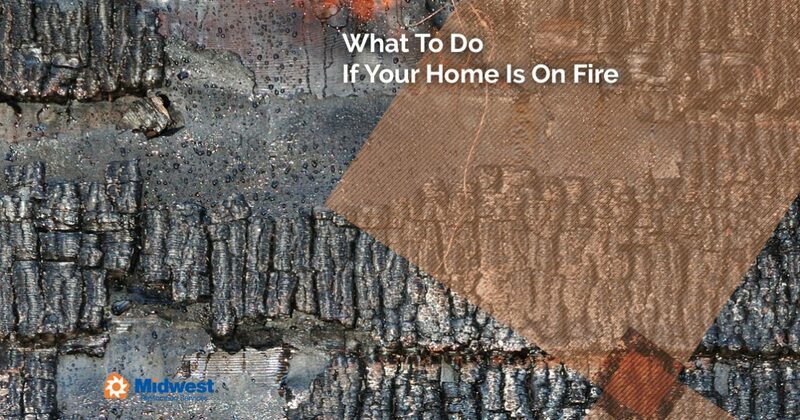 If your home has been damaged by fire or smoke, don’t hesitate to call Midwest Restoration Services. We’ve been helping Northwest Indiana, Southeast Wisconsin, and Illinois residents restore their homes for over 16 years. We handle post-fire cleaning services as well as furniture, clothing, and electronic deodorizing. Contact Midwest Restoration Services today to find out what we can do for you.